Liam Gallagher must love being himself. Not only does he get away with being the gobbiest of his brothers, dismissing anything and everything in modern music for no adequately explained reason, and spinning the wheels of a two-decade-long feud with his brother Noel just to get a headline from it, but he’s praised for it; he could blow his nose and the indie #lads down at NME and Radio X wouldn’t hesitate to call him a “legend” and drum up some ill-reasoned claptrap about an Oasis reunion that’s never going to happen. At least Noel’s had musical success to keep his name out there; Liam’s had the undeniable failure that was Beady Eye and shooting his mouth off at every possible turn. So here’s As You Were to add something meaningful to the conversation, actually pinpointing a relevant musical identity in 2017, but even that’s reaching to an astronomical level considering this sounds like it was made by a man who hasn’t heard a single note of music since 1995. Even with the inclusion of Greg Kurstin and Dan Grech-Marguerat on production, you would expect some kind of livelier pop or indie spark, not a flat load of Britpop throwbacks that sound about as beige and middle-aged as you can get. And even though that might be understandable to a degree considering the environment that Gallagher made his name, it doesn’t excuse As You Were from being a mercilessly tedious listen. It doesn’t help that there’s barely any artistic range here, Gallagher himself included. He’s never had the greatest singing voice, but staying in his constant nasal whinge like he does here grates in a hurry, especially when this album really hits it’s slow spots, like the languid strings of For What It’s Worth that stretches out Gallagher’s vocals into a single, torturous whine. Truth be told, dynamics aren’t As You Were‘s greatest strengths on the whole, particularly when these tracks tend to fall into a very rigid holding pattern of Gallagher rehashing work that he’s already done. It’s telling how much of this album pulls from both Oasis and The Beatles, given how deeply within Gallagher’s comfort zone this all falls; Bold and I’ve All I Need feel like tepid reworkings of Oasis tracks, all toneless, brown guitars and slapping drums that try to connect with each other but really can’t, and dipping into wistful folk on Paper Crown and jangling psychedelic pop on When I’m In Need betrays a Beatles influence that’s at least better, but still struggles to piece together anything of much interest that leaves any sort of lasting impression. That’s the main problem about As You Were, how, for as much as this is supposed to be Gallagher’s big moment to step into the spotlight on his own, it feels so lukewarm and wishy-washy. It makes any moments of real energy feel like an absolute godsend, like the twanging Britpop of Wall Of Glass and Come Back To Me, or I Get By‘s roiling, fuller indie-rock. They’re still daytime radio slot-fillers at best, but at least there’s a bit more meat on the bones rather than panting, throwback dregs. But even then, As You Were feels so stagnant, particularly in the writing where Gallagher’s infamously outspoken nature is totally sidelined for wet generalisation and the sort of safe subject matter that’ll guarantee radio play to some capacity. Even when there’s a bit more fire to his tongue, like some of the more confrontational streaks on Wall Of Glass and Greedy Soul where he’s announcing his grand return, it all feels so disingenuous and undercut by how utterly boring so much of this album is. When tracks like For What It’s Worth and Chinatown represent the norm for this album, falling into tedious ballad territory that might muster up a few interesting metaphors but nothing worth remembering in the long term, As You Were being positioned as the mission statement that it is is actually laughable. But let’s be honest – did anyone expect anything less? Did anyone really expect Liam Gallagher, the man who has already remade Oasis once with Beady Eye, to not do basically the exact same thing again, only older-sounding and a lot more forgettable? As You Were might represent a return that so many have been clamouring for – and undoubtedly will enjoy all the same – but compared to Oasis at their best, or even Noel Gallagher’s current material, this is a pale, underdeveloped attempt at recreation at best. The fans who’ll snap up anything with Gallagher’s face on will like this (no matter what the quality), but for anyone with a bit more cognition, it’s best just to leave it alone. 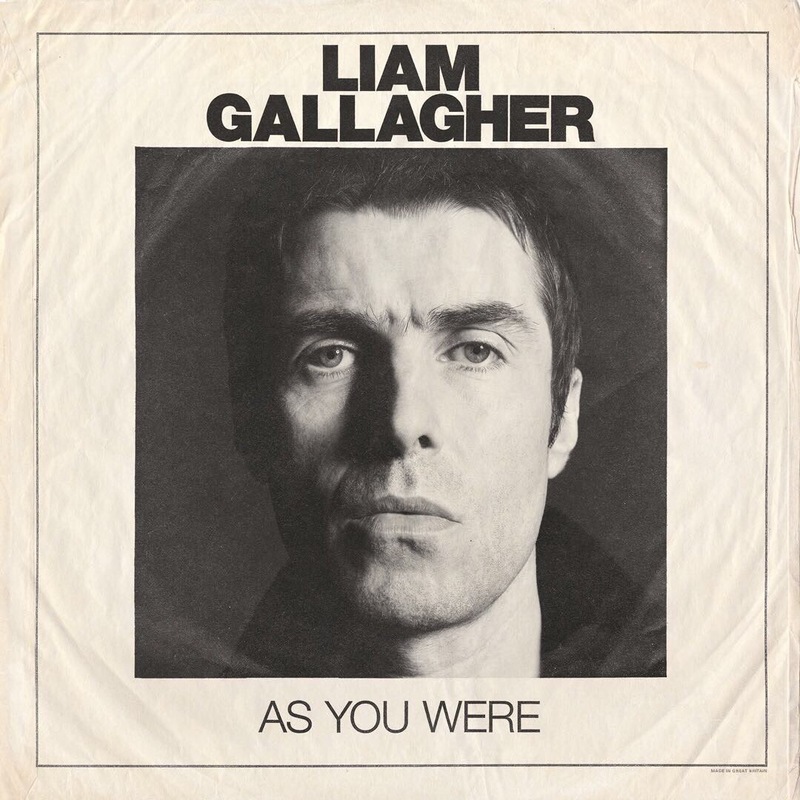 ‘As You Were’ by Liam Gallagher is out now on Warner Bros. Records. Every track I’ve heard so far has been an utter, utter embarrassment. And my God, the lyrics. They make that bloke out of the Stereophonics sound like Ben Jonson. Not the runner.